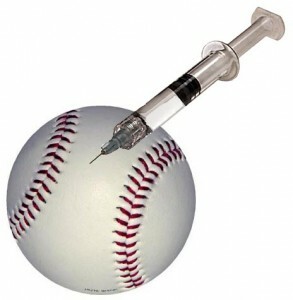 Cheating, Baseball (Bonds, Clemens, Sosa. . .), and Our Kids. . . . Think about Kaline’s last few words. . . “to me, it’s cheating.” They’re quite telling. We live in a day and age where the definition of cheating is up for grabs. The line on what constitutes cheating is fluid. No longer is there a commonly held standard to which we can all appeal and judge both our own behaviors and the behaviors of others. That’s a sign of the times. The debate in baseball isn’t so much about whether or not the guys who got shut out (Clemens, Bonds, Sosa. . . ) used steroids, but if their steroid use was wrong. That debate, sadly, is going to continue for awhile. My guess is that sooner or later standards will loosen and behaviors will be forgotten, even before people think to forgive them. In the meantime, I think it’s good to use this story as a prompt for discussions on cultural attitudes and personal behavior. You see, whether or not we think these guys were right or wrong, they did serve as heroes and role models to an entire generation of kids. . . mostly boys and young men. And when young dreamers stand on the diamond pretending to be Barry Bonds, the emulation usually extends beyond what the guy could do with a bat and a glove. Our heroes and role models are complete people, meaning that there’s always much more to them than who they are when they’ve got their uniform on. In fact, they spend most of their time out of uniform. . . and in our media-saturated world, that time is spent in front of a watching world almost as much as when they’re on the field. In 2010, 59 percent of students admitted to cheating on an exam in the last year. In 2012, that rate had dropped to 51 percent. Students who said they had lied to a teacher in the past year about something significant dropped from 61 percent in 2010 to 55 percent in 2012. In 2010, 27 percent of the students said they had stolen something from a store in the past year. In 2012 that number dropped to 20 percent. On the one hand, this good news should make us happy. But are these numbers reflective of an increase in conformity to unchanging ethical standards, or are they a reflection of conformity to lowered/changing ethical standards? In other words, has the definition and understanding of what constitutes lying, cheating, and stealing changed? If that’s the case, then our kids (and the rest of us) could actually be lying, cheating, and stealing at a higher rate. I don’t at all mean to sound skeptical, but these are questions we should be asking. In spite of what really sits behind the statistics one thing is for sure: that is, that we need to embrace, teach, and live out the highest standards of ethical behavior in order to both glorify God and teach our kids. There will be a celebration and induction ceremony at The Baseball Hall of Fame later this year. There just won’t be any living players standing on the stage. The three inductees include three men who have been dead for at least 70 years: Yankees’ owner Jacob Ruppert, umpire Hank O’Day, and catcher Deacon White. The amazing thing about White is that throughout his career as a major league catcher, he did it all bare-handed. . . and that without steroids! Wow. . . just one game of that should get you into the Hall of Fame! ← “Guns don’t kill people – our sons do” . . . .